Sulphate Resisting Cement belongs to a type of Portland Cement in which the amount of tricalcium aluminate (C3A) is limited to remain under 5% and (2C 3A +C4AF) under 25%, that lessens the development of sulphate salts. The lessening of sulphate salts reduces the scope of sulphate attack on the concrete. This construction article provides detail information on the composition, properties, features, applications, pros and cons of sulphate resisting cement. 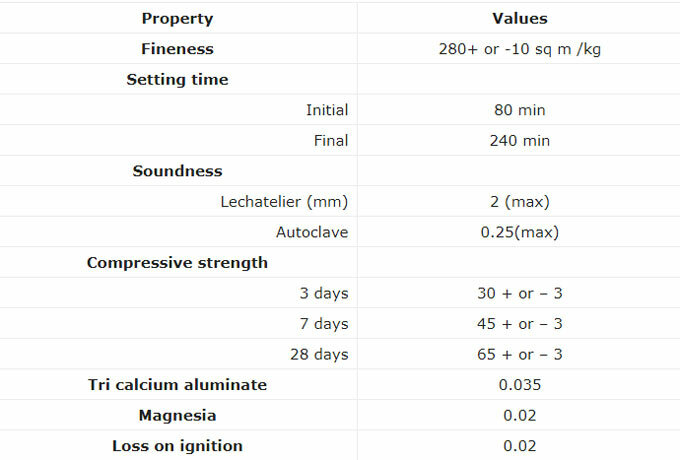 Composition of Sulphate Resisting Cement: As sulphate resisting cement contains fewer amount of tricalcium aluminate, so a very small amount of calcium aluminate is produced on hydration. The development of calcium sulpho- aluminates which formed due to reaction of calcium sulpho-aluminates which formed due to reaction of calcium sulphoaluminate and sulphate salts is considerably reduced with use of sulphate resisting cement. The sulphate aluminates are extremely broad in nature and leads to utmost damage to the concrete. 1. This cement offers greater resistance to chloride ions as a result the risk of corrosion of reinforced steel is minimized significantly. 2. It also offers superior level of concrete performance and structural continuity in extremely aggressive sulphate and acidic environments. 3. It also offers greater workability and pumpability. 4. This cement contains considerably better later-age concrete strengths. 3. Construction adjacent to soils or ground water containing in excess of 0.2% or 0.3 % g/l sulphate salts correspondingly. 4. Concrete surfaces dependent on alternate wetting and drying like bridge piers, concrete surface in tidal zone, apron etc. 7. Coastal protective works like sea walls, break waters, tetrapods etc. 8. Building adjacent to seacoast. 9. Chemical industries, water storage, sumps, drainage works. 10. Perfect for underground works where Sulphate exists in the Soil and water. 1. 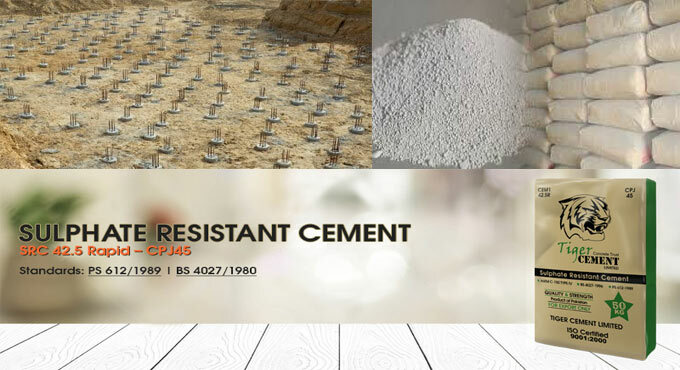 The application of sulphate resisting cement offers sound protection against the creation of sulpho-aluminates and subsequent resistance to concrete from sulphate attack. 2. It offers greater compressive strength with inexpensive concrete mix design. 3. Due to very low heat of hydration, shrinkage cracks can be avoided easily. 4. Enhances life and longevity of structures under aggressive conditions. 5. The corrosion resistance strength of steel is improved due to prevention of sulphate attack.